The average roof is many thousands of pounds of material – the weight of several years’ worth of household trash. No matter what roofing material is being removed, with rare exceptions, it can be recycled. Find out where to recycle at www.shinglerecycling.org - it’s an easy way to make a big difference! Why not have a home energy audit performed in conjunction with your re-roofing project? A home energy audit is a service where the energy efficiency of a house is evaluated by a person using professional equipment, with the aim to suggest the best ways to improve energy efficiency in heating and cooling the house.Since the time the house was built, this is probably your best chance to make significant energy improvements. When the roof is off, your contractor can work from the top down and improve the attic air barrier, seal around can lights and bath fans, make sure there isn’t wind wash around soffit vents, and check the energy performance of the home generally. It’s not uncommon to save double digit percentages on utilities after an improvement like this. Find qualified auditors at greenhomeguide.com/findapro. Most attics are designed to maintain a temperature as close to the outdoor temperature as possible, with vented areas along the eaves (the underside of the overhangs of the roof, in what is called ‘soffit’), feeding in air, which is then vented along the ridgeline of the roof. This acts to steadily move air through, which keeps things from heating up, and clears out any moist air from the living space that does make it through the into the attic through the air barrier. It can be challenging to provide adequate ventilation, particularly in designs with less ridgeline and in these situations, it can make sense to add an additional powered attic vent -- GAF even offers one that is solar powered. If your attic is conditioned space (i.e. held at the same temperature and humidity as the rest of the home - this is common in a cape, and also occurs with a cathedral ceiling), detailing of the insulation in the attic is extremely important. When the roof is off, this is your last best chance to get these details right and make your home as energy efficient as possible. Most residential solar installations go on the roof. Why? Putting the solar panels up on the roof gets them out of the way, gives them good sun exposure, and puts them close to utility connections. However, it is very common to find a plumbing vent running right through that perfect southern exposure. So even if you’re not having solar PV or solar thermal put on as part of this re-roof project, think down the road a bit and get your roof ready. The first important thing to do is make sure there is none of that ‘clutter’ running through the ideal southern exposures of your roof – this means rerouting those plumbing vents (or anything else that might be on the roof and in the way) to other parts of the roof. You can also add additional leak barrier – the peel and stick self-sealing membrane material that is used in hi-stress areas of the roof – in the areas where penetrations for utility connections would go, typically just down from the ridge. It may also make sense to add chases - or routes for utility connections - in the attic and into the home, or at least scope out appropriate places for them. You can also install permanent fall protection, typically consisting of heavy duty eye hooks located at or near the ridgeline, that solar installers can hook their safety harnesses to when installing or cleaning the panels. And make sure you tack a drawing showing where you placed extra leak barrier and made other preparations, to the attic wall - so there’s a record on site. This roofing material preferentially reflects the infrared spectrum – the non-visible, heat-carrying portion of the light spectrum. This means the roof can be an attractive, medium or dark color to the human eye, but still reflect more heat away from your home than conventional roofing. In many parts of the country, for air-conditioned homes (and especially those with A/C ducts that run in the attic) cool roofing will save enough energy to justify the extra expense, and you’ll be doing your part to reduce the urban heat island effect. Learn more about GAF’s Timberline Cool Series shingles and use GAF’s Roof Wizard to see how these shingles will look on your house at www.gaf.com. Durable, efficient, properly detailed roofing system. The number one job of the roof is to keep the rest of the home dry. It’s tempting to think you’re just getting new shingles, but the complete system includes a lot of properly performed details. In fact, you might be surprised to learn that shingles are not waterproof. They’re water shedding. It’s the entire roofing system, consisting of leak barrier, flashing, underlayment, and shingles together, that keeps the home dry. The individual elements alone will not do it and that’s why the system is so important. You definitely want to make sure that your roofing contractor is knowledgeable about all of the proper components to a full system – selecting one that is factory-certified is your best way to ensure this. You can find a factory-certified professional at www.gaf.com simply by entering your zip code. 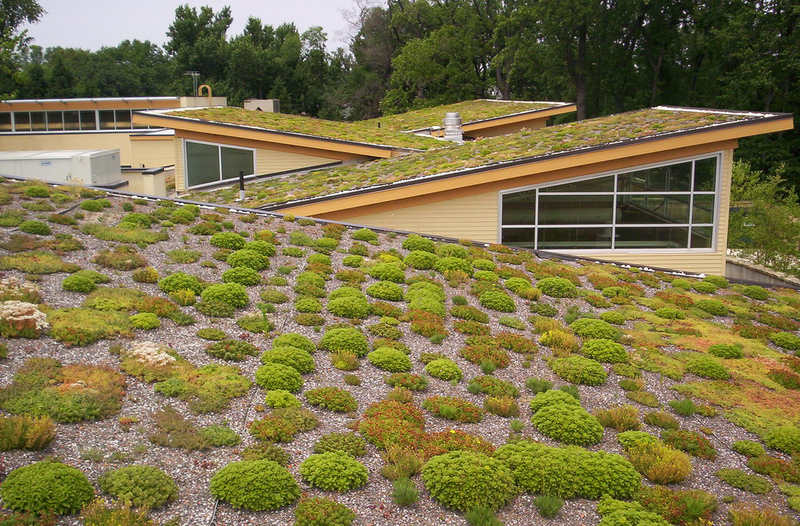 If you follow these six steps for your next re-roof project, you’ll have gone a long way towards greening your home - reducing material impacts, improving energy efficiency, and getting renewable ready.